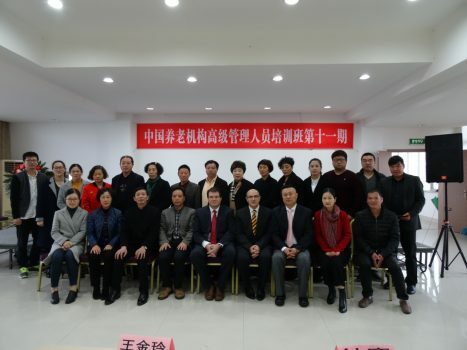 In collaboration with The Support and Nursing Committee for the Elderly, China (SNCE), the International Institute on Ageing, United Nations-Malta (INIA), organized an in-situ programme in Gerontology in Wanling city, Zheijiang Province, People’s Republic of China from 12-16 December 2016. 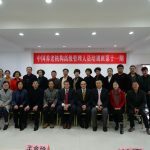 The programme was held for Chinese Officials working in the field of ageing within Zheijiang Province. Twenty-one Chinese officials participated in this programme. The lectures were translated into Mandarin and published into a monograph. This proved to be of great benefit so as to ensure greater participation and involvement of all those who attended. Topics included Basic Concepts in Social Gerontology; Demographic Determinants and Consequences: Focus on China; The Madrid International Action Plan on Ageing; Quality of Life in Long-Term Care; Socio-Cultural Changes and their Impact; Economics of Ageing; Environment and Ageing; Health Aspects of Ageing; Social Care in the Family; Depression, Delirium, and Dementia; Needs of Vulnerable Older Persons. Lecturers on the programme included Dr. Marvin Formosa, Professor Charles Scerri, INIA’s consultant on geriatrics and dementia care and Professor Yuan Ye, INIA’s consultant on ageing in China. This international training initiative was the twelfth programme organized in collaboration with The Support and Nursing Committee for the Elderly, China (SNCE). Another training programme on Gerontology and Geriatrics in collaboration with SNCE is being scheduled to be held in Beijing in December 2017.